Oh…what do you know, I thought I’d never get the chance to feature a party with this awesome theme. As we all know themed parties are nothing new but I love the fact that it continues to get better and better over time. One thing is for sure, going old school definitely rocks! So for those of you who have old souls, here’s a party you wouldn’t want to miss. Bringing the spotlight to one of my favorite cartoon shows, Popeye is a memorable part of everyone’s childhood. To my mom who is a self-proclaimed Popeye aficionado, I bet you’re reading this by now with a giant grin on your face. A nautical themed party with a playful twist, Lucas rounded up the gang to make his first birthday party one for the books. 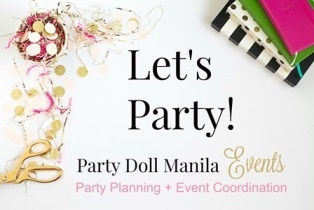 With boatloads of ideas seen throughout the party, from the red, white and blue colorfest to the different nautical must-haves, everything looks so much fun and exciting. As we can see, Party Station didn’t skimp on the details because Lucas’ party is jam-packed with decorations at every corner of the venue. With a hint of vintage aura combined with a dash of adorable party elements and the right amount of fun details, why this sure is the perfect mix of a swoon-worthy bash! Beautifully covered by Luxe Photography, let’s sail away to Lucas’ party. Welcome aboard to Lucas’ birthday party. Right from the entrance, one can’t miss the perfect nautical feel of the party. Even Popeye was there to give Lucas’ guests a warm welcome. There’s also a list of activities and food carts at the registration area to let the guests know what exciting things are planned for them inside. One of Party Station’s specialty, a balloon-filled ceiling. Instantly making the venue more alive, balloons in red, white and blue were used to drape their ceiling. A chock full of nautical party essentials were seen in their stage decoration setup. With fish nets, anchors and some nautical décor ship lanterns wonderfully featured in the backdrop, of course, Popeye, Olive Oyl and Bluto were front and center in their stage setup. More nautical-themed decors were used as part of their table centerpieces and this time they added one of the most crucial elements of this theme – Popeye’s can of spinach. What an eye candy, check out Lucas’ cake! This three-tiered yummyness looks fabulous, I’m sure Popeye would approve. Cute desserts alert! Cakepops, cupcakes, oreopops, cookies & milk were all brilliantly showcased in this gorgeous dessert spread. Even in pictures, everything looks oh-so enticing! To make sure everyone is having a blast, there were magic show, games, acrobats, balloon twisting, dancing Elmo Mascot, foodcarts and even basketball arcade prepared for them to enjoy! Even their giveaways look extremely adorable. Lucas’ little guests get to bring home these kiddie stools and their very own on the spot personalized name stamps by Party Stamps! Here’s the little sailor cutie during his Popeye-themed pre-event photo shoot plus some of my favorite family photos taken during the party.